Do you have any actual proof for anything you just posted? Because there are some giant, dubious leaps of logic in there from the fact that there was one Nova on the 257, which replaced a broken artic and has since has been changed off for another artic. Coast Mountain Bus Company Nova Hybrid 18360 heads north on Nanaimo St as a route 7. Coast Mountain Bus Company 9786 is seen starting the long, steep climb up Lonsdale Ave having just left Lonsdale Quay backdropped by the Seabus and the Downtown Vancouver skyline across the Burrard Inlet. Yes, as has been stated multiple times in the 2018 articulated order thread. This should not be coming as a surprise to anyone at this point. The D60LF's are not long for this world. Bascially, service hours were allocated for the new service area along West 1st Street in North Vancouver. This would have been operated as an extension/revision of route 231. 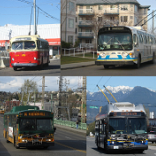 Now, with the consent of the council of both the City and District of North Vancouver, those service hours will be used for the express bus across the Ironworkers Bridge instead of the expanded 231. Maybe not, the article says that they will move 6000 hours from the 231 to the express bus, but according to the 2017 transit performance review route 231 only uses 700 annual revenue hours (1000 total hours including deadheads). Given that the last round of proposed bus changes included all the new service areas for phase 2 except the Haborside/Norgate area of North Vancouver, my guess would be that the service hours for that new service are being redirected to this express bus. And, if West Van keeps resisting the B-Line, the service hours meant to run it between Park Royal and Dundarave may also go to this express bus. Hopefully, they also invest service hours to run the 211 into Vancouver later in the evening. I've frequently seen the 209/210 on summer weekends leaving people behind at Phibbs in the evening as people head back from the north shore hiking trails. The last few ATP's have been smaller in scope than the previous ones. I get the feeling Translink is focusing more on immediate changes within the existing budget after the improvements put forward in older ATP's never materialized due to funding issues. This was most notable with the 2008 South of Fraser ATP. 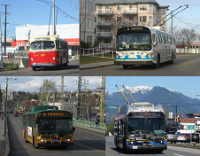 The 2002 Burnaby/New Westminster ATP was the last one done, and it called for upgrading the 135 to a B-Line within 2 to 4 years, which obviously took longer. And we're still waiting for the 43 to be extended to BCIT. Plus, right now there is the Mayor's 10 year vision which gives the big picture planning, the ATP's at this point seem to be more about the fine details for that. 18379 was also on the 49 today. There was a police incident at Langara College today that resulted in 49 Ave being closed from Main to Cambie, so it seems VTC put some buses on the 49 to help with the delays and service gaps from the detour. If you're going to do an April Fools joke, you should really come up with your own instead of copying someone else. I would take the 212 off that list. On nice summer weekends it can get pretty packed with people heading out to Deep Cove. Considering that as of right now there are over 50 of the new Novas out, combined with the fact that it's been five days since the Quebec ones were pulled, and finally the fact that Nova estimated that a fix would take 4 to 6 hours per bus, I would say that CMBC has managed to do any schedule any needed repairs without impacting service delivery. So, your apparent fetish for massive service cuts will not be indulged. Because that list of cuts you proposed showed a total lack of understanding of transit operations. Even if all the 18300's had to be pulled, any cuts would be confined to rush hour and maybe weekday midday when the majority of buses are out. Evening and weekend would be unaffected due to lower bus requirements. And even then, you would see peak hour trippers cancelled before route segments were cut, especially busy sections serving key destinations like the 25 east of Nanaimo serving Burnaby Hospital and BCIT. And this shows an ignorance of local transit history. After a similar situation occurred in 2007 when the then new E40LFR's had to be pulled for power steering issues. There were not massive cuts, some retired buses were brought back and a few were leased to keep service going with some peak runs cut. 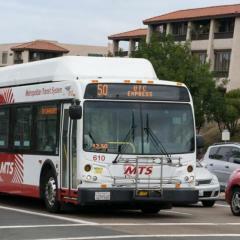 Most bus orders have options for future years. So, there was the initial tender for the artics in 2018 which was enough for D60LF replacement, and then an option was exercised for the new B-line expansion buses for 2019. Now I need to be a little bit blunt, the rhetoric and discussion about this artic order on this board for the last year has been extraordinarily frustrating. Between people ignoring information about the number of units coming in, which has all been readily available in board reports and on social media for months, in an attempt to claim that the D60LF's would remain in service, to people trying to dictate the discussion there has been a seemingly endless cycle of the same points, several of which had no basis in reality. I said it before, anyone who thought that some D60LF's would remain in service for the new B-Lines was deluding themselves and trying to impose their foamer fantasy on reality. The D60LF's are old, tired buses; and after the fiasco that was trying to launch the 96 with the 1998's there is no way Translink was going to risk a repeat. And, given the numbers in the initial tender and what was being reported in the board meetings (going from 63 to 110), it should have been obvious that an option on the order had been exercised and would get it's own number sequence, just like the 16200's were an option on the 15000 order. Backdropped by the city skyline and the North Shore Mountains, a 2007 E40LFR and a 2018 Nova hybrid pass at the south end of the Granville Bridge in Vancouver. E60LFR turning around at the east end of Marine Drive Station. It probably wasn't going anywhere, most likely it was out on a test run and whoever was driving decided to go somewhere scenic to get the needed km's before heading back to VTC. The 15 minute weekday midday service on the 236 is seasonal. The evening service being boosted to 30 minutes is new though.